Palm Springs. Land of breath taking landscapes, gaggles of gay guys, and some fairly stuck of bachelorette parties. A lot of them. Very glad to check that off the bucket list, but not an experience that I need to quickly repeat. 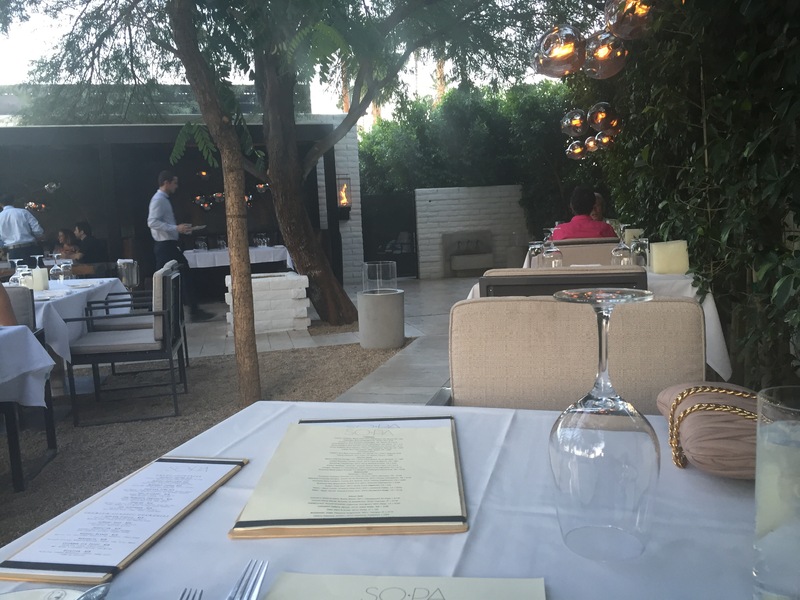 Well, unless it’s for a stay and a meal or two at the restaurant, S.O.P.A at the new L’Horizon hotel. My meal was so delicious the first night that I ate there, that I made reservations for the next night before I even left the restaurant. 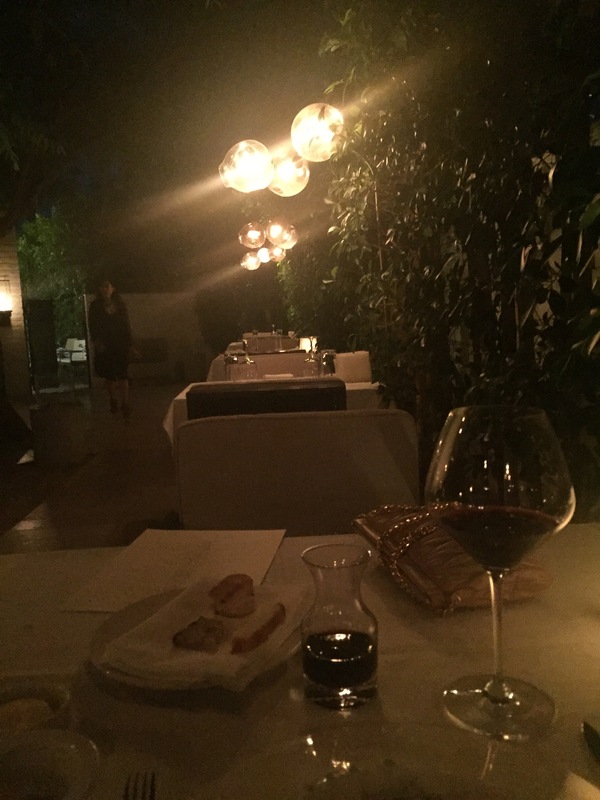 The service was impeccable, courtyard seating beyond charming, and the chef made table rounds. This was a hamachi crudo with a citrus broth and edible flowers. 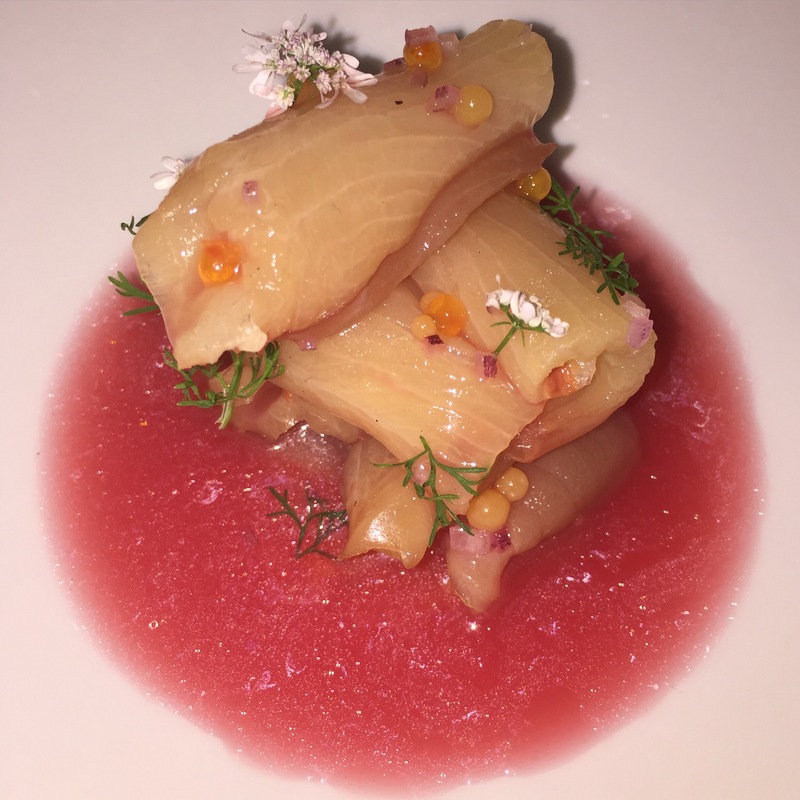 Is this not the prettiest dish that you’ve ever seen? 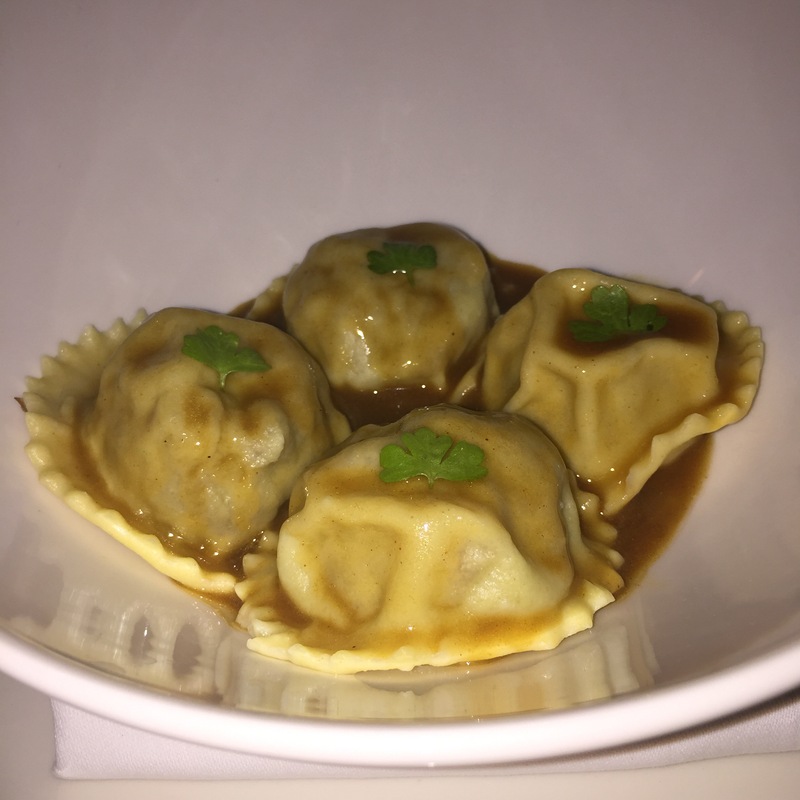 Next up, short rib dumplings. So rich, that one would have been just fine for this solo traveller. Cool as hell entrance. Not pictured, the fleet of BMW’s that they use to drive you home at the end of the night. Even when that’s only a half mile down the road. “My table.” For two nights anyway. 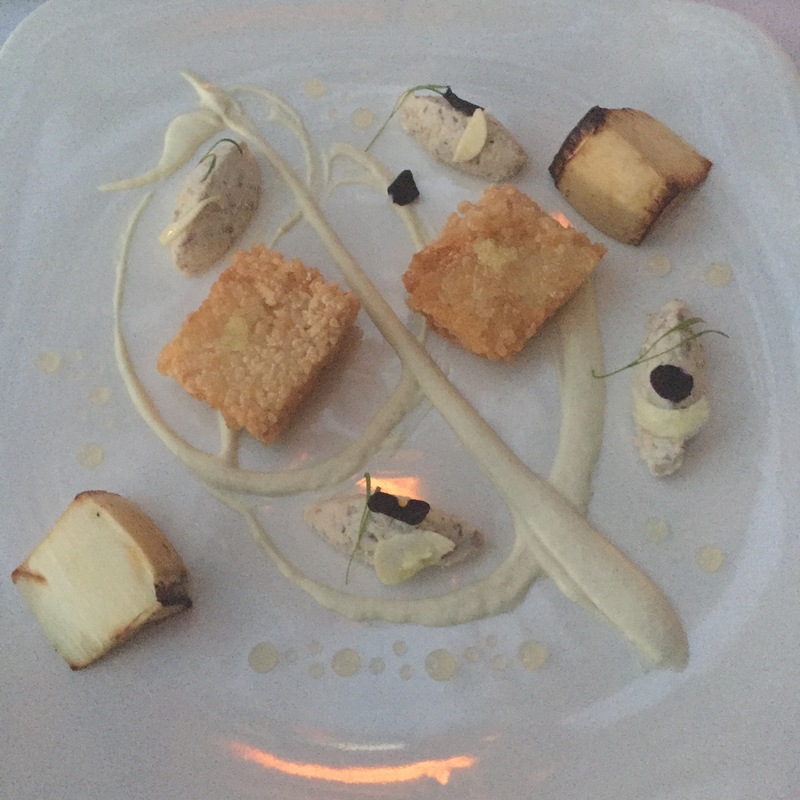 The next night brought this gorgeous dish of crispy rice cakes, and smoked fish. That presentation though! 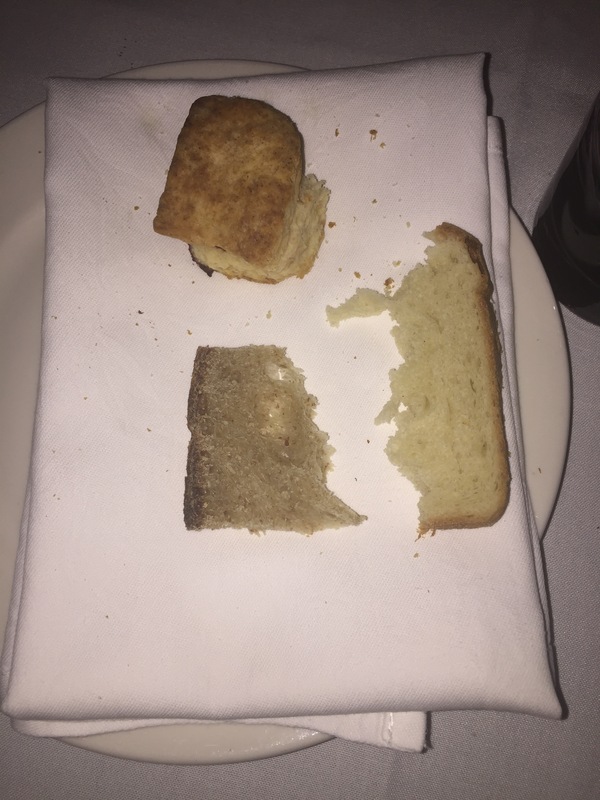 Since I live the carb life, at least on vacation, I had to try all of the homemade breads. Just a bite of each. I’d sort of hide my busted pieces under each other or the napkin or whatnot. After a between course visit to the ladies, I returned to find my embarrassing habit so neatly arranged. Hilarious. 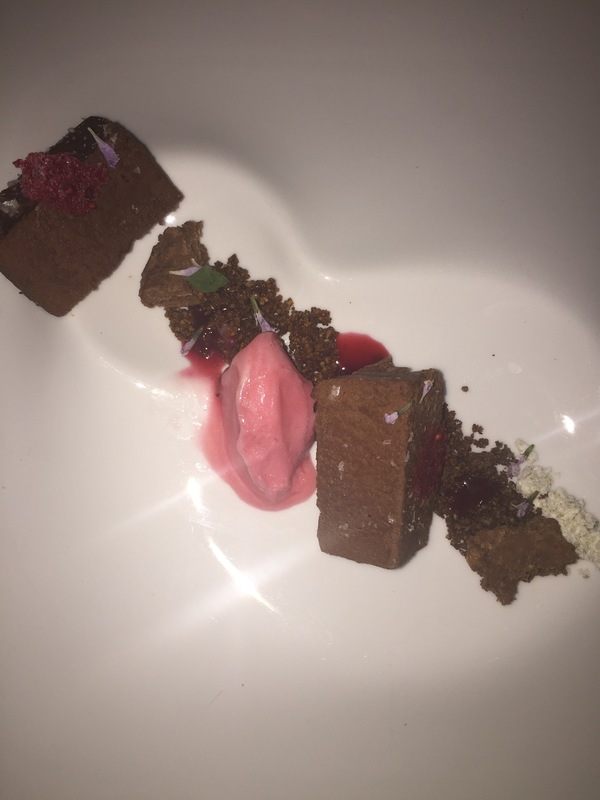 And for dessert! Something beautiful. 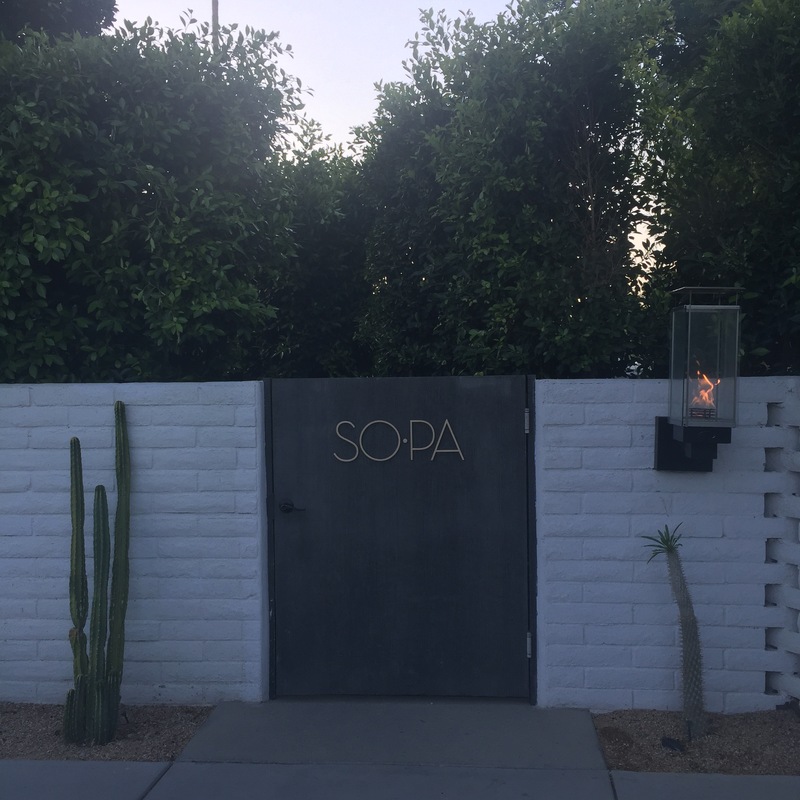 If you find yourse in Palm Springs, alone and a little confused like yours truly, just head to S.O.P.A. Actually just book a room there. Imagine the room service!